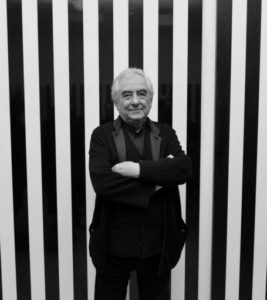 Daniel Buren was born in Boulogne-Billancourt (Paris), France in 1938. In the early 1960s, he developed a radical form of Conceptual Art, a “degree zero of painting” as he called it, which played simultaneously on an economy of means and the relationship between the support and the medium. 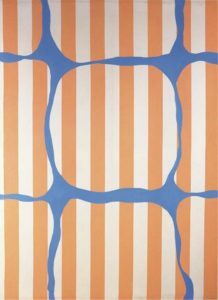 In 1965 he began using his 8.7cm-wide vertical stripes as the starting point for research into what painting is, how it is presented and, more broadly, the physical and social environment in which an artist works. All of Buren’s interventions are created in situ, borrowing and coloring the spaces in which they are presented. 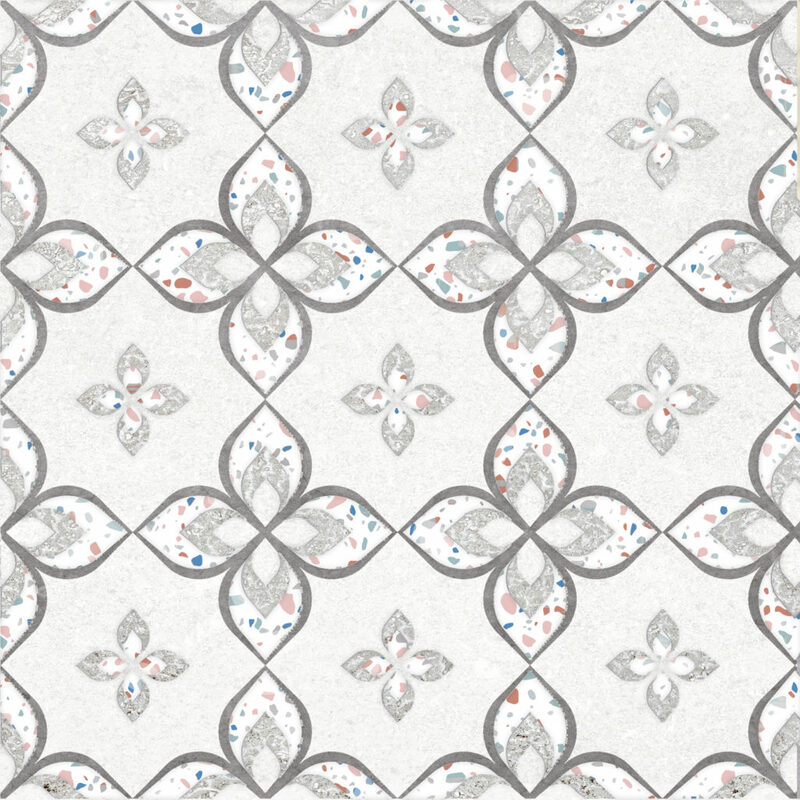 They are critical tools addressing questions of how we look and perceive, and the way space can be used, appropriated, and revealed in its social and physical nature. In 1986, he produced his first and most controversial public commission,The Two Plateaux, for the main courtyard of the Palais-Royal in Paris, France. Although the lines are the symbol of this artist, our designers studied their works more thoroughly, and found that Daniel Buren also delves into more modular and more rounded structures. 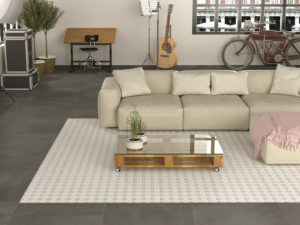 Buren, is a very rich decoration with repetition of shapes that takes care of even the smallest detail, incorporating multicolored terrazzo fragments.